returns to the content of my website. This is TONE, a Theory Of Nearly Everything. It leans on two pillars, both completely new. The first pillar - chapter 1 GRAVITATION - describes gravitation as a streaming of a grid of vacuum marbles. The Newton gravitation law is derived. The distance of the vacuum marbles is calculated at 10^-21 meter. Chapter 2 EXPANSION OF THE UNIVERSE. This formulation allows to describe its backward time evolving behavior, that is presented as a candidate for the Dark Energy. TONE's second main pillar is QQD – Chapter 3 QUANTUM QUATERNION DYNAMICS. It replaces the colors of QCD by imaginary units of quaternions: red = i, green = j, blue = k, cyan = -i, magenta = -j, yellow = -k, white = 1 and black = -1. The matrix of each quaternion unit equals the product of two Pauli matrices, except for -1. Heavily residing on both pillars is QG - Chapter 4 QUATERNION GRAVITATION. Here the vacuum marbles are filled in with pairs of spin 1 gluons. The gluon as being the strongest and fastest reacting particle, builds spacetime, the grid to which all events are attached. Higgs Mechanism 2 shows 2 vacuum marbles at the spot of a quark convert into 1 empty spot and 1 Higgs field particle. Higgs mechanism 2 provides mass AND is the mechanism of attraction between quarks. Higgs mechanism 2 cannot give mass to sole color, but two colors together will always be given mass - except when they are of opposing sign. A black quark can appear, a quark without color: the leptons? If so then the universe might consist of quarks alone. Finally, in Chapter 5 INTRICACIES is shown how four quarks appearing in 2 quark antiquark pairs, all within their time borders, can form all colored gluons we know. One strong force cycle of time then must be rather 0.5 times 10^-24 s.
The choice of taking space and time smooth or corpuscular, is fallen on the latter in this TONE. The cross section of one vacuum particle is calculated to be about 10^-21 m, the quantum of time is taken as the typical strong force reaction time, 10^-23 sec. The development of the ideas of this chapter “Gravitation” started at the beginning of 2011. Let's first set up the scenery. The vacuum is proposed as an ocean of solid marbles stacked upon each other in a grid, e.g. the Cartesian grid. No open spaces large enough to fit another marble; no overlap of marbles. Constant total volume of all the marbles together. The Higgs field, the field all massive particles absorb its mass from, is identified with the marble sea. When a particle absorbs mass from the Higgs field, it absorbs one vacuum marble, one Higgs field particle. We use the field of all possible velocities. To be Lorentz invariant the marble field has to be the superposition of all marble fields of every possible velocity, the superposition of all “oceans of solid marbles” that only differ a velocity, pervading each other without seeing each other. The solid marble oceans pervade the Earth too. We assume that every particle that has mass is standing still with respect to the vacuum it couples to, the Higgs field from which it absorbs its mass. Coupling to standing-still field, absorbing from standing-still field, takes least energy (no additional kinetic energy). For now this is the vacuum. Hanging there in outer space is the Earth. Let's go for the first act. At a coupling – take in mind a strong force color coupling of a quark with a gluon – one of the quarks in a nucleon of the Earth absorbs a vacuum marble / Higgs field particle, necessary in the course of renormalization. The particle (a quark in this case) absorbs the vacuum marble from the Higgs field relative to which it is standing still, this is essential for the following picture (take rotation of the Earth and other movements to be absent). The marble of that Higgs field particle disappears, leaving an empty spot there. ”Pressure from the outside” forces the marbles around to fill in the empty spot, to ”fall into it”; the particle next to the hole falls into it, leaving behind another hole, and so on. Effectively the volume of the empty spot displaces spherically to the outside, without changing volume dividing itself over an area that increases with the square of the distance to the absorbing spot. The empty spot, originally spherical, now forms a shell of missing vacuum. The volume of the shell is its surface times its thickness. Now we yet only have to state that the displacing vacuum / Higgs field drags along with it all masses that are ”floating” in it. The masses stand still with respect to the displacing vacuum marble field and keep it like that. The dragging is 100 percent. This is gravity, the gravitational field in action. Masses fall weightless in each other’s gravitational field, as if there is no gravitation, as if they are standing still with respect to the vacuum. No force acts on any mass; no mass goes anywhere caused by a force. (F = force, m = mass, a = acceleration, s = displacement, t = time, F s means F is proportional to s). It doesn’t really have to be marbles; the main point is conserved fluid space. Some volume of space inside matter disappears when Higgs field is absorbed. But all further events act as if space is conserved. The disappeared space – the hole – is filled in with the space around it without any further appearing or disappearing of space. In radius of a vacuum marble the gravitational constant is used to calculate the distance between neighboring vacuum marbles to be about 10 -21 m.
There are some setbacks in this view. When the source of gravitation suddenly would disappear, acquired displacement would remain but further displacement would stop; there would be no remaining velocity. Acceleration then appears only when approaching (or receding from) the gravitational source makes you to enter regions of larger (smaller) displacements. The presented view so far still does account for the four mentioned effects, but it would do so only for the first moment of gravitational action. At the region of the Earth surface gravitational acceleration is about 10 m/s , rounding a = 9.81 m/s at the Earth surface. When time elapses, 5 meter of vacuum sinks through the Earth surface into the Earth in the first second, dragging along with it all matter floating in it. In the 2nd second another 5 meter passes the Earth surface, displacing all matter another 5 meter. A 3rd second gives a 3rd displacement of 5 meter. Total displacement 15 meters in 3 seconds. And so on. However, observed is, when initial at rest at e.g. 100 m above the Earth surface, the gravitational field causes a displacement of 5 meter in the first second, 15 meters in the 2nd second and 25 meters in the 3rd second, total displacement 45 m in 3 sec (s = a t / 2 = 10 / 2 t ). When gravitation suddenly disappears, acquired velocity remains: 10 m/s at the end of the first second, 20 at the end of the 2nd and 30 m/s at the end of the 3rd second. The Newtonian gravitational law presented so far resembles a kind of conveyor belt, displacing only at constant pace. It is no force. We are now going to install F = ma, the second law of Newton. Let's start over again. One vacuum marble in the Earth had disappeared – a state transition from all possible Higgs fields to one specific Higgs field with a hole in it. When more vacuum marbles disappear, we mark that ongoing displacement of vacuum and everything in it embodies a constant velocity, as far as observations of dragged-by objects are concerned. One can define the wavefunction of a mass m1 standing still with respect to the dragging-by and falling-into-the-Earth vacuum. Taken from the field of all possible velocities, there also is a vacuum that already moves with precisely that velocity, without having the source of this velocity in disappearing marbles. Essential now is to state that the wavefunction of a mass m1 standing still with respect to the dragging-by and falling-into-the-Earth vacuum is indistinguishable from the wavefunction of mass m1 standing still with respect to the vacuum that already has that velocity, without any source in gravitational mechanisms. So these wavefunctions superpose at every point in spacetime where marble displacement takes place. When it comes to observation – the first characteristics of m1’s motion becoming apparent – in half of the cases it will turn out to be a displacement only, leaving behind no remnant velocity (mechanism of gravitation), and in the other half a velocity increment remains (due to moving vacuums without gravitation). When gravitation suddenly would disappear, half of the tiny velocities would remain. In such a way velocity increments embody an acceleration proportional to the gravitational force. We completed the Newtonian gravitational field with Newton dynamics given by F = ma. Velocities can be put in a box. An experiment that is said Galileo Galilei has done is that he carefully studied the flight of butterflies in the sealed cabin of a ship sailing at top speed. From the butterfly flights he noticed no clues to the motion of the ship. With respect to gravitation we correspondingly state that the cabin, if free falling to the Earth surface, is dragged by the vacuum that is falling into the Earth, and that all velocities in the cabin are also dragged by unaltered. I call it “a velocity can be put in a box”. Every time something has build up a velocity with respect to the Earth, we imagine a box being put around that something, and in the course of the gravitational act we observe how the box is dragged by. We always can see the content of such a box. Couplings in its material content cause sagging-in shells around it to reach outside the box and betray the content to outside observers. According to the view of this article photons have no absorption from the Higgs field and thus don't gravitate. This is a difference with GR (General Relativity). When displacement of sagging-in shells has passed by, when rearrangement of vacuum marbles in the masses and subsequently in the vacuum around them has been completed, the superposition of all possible Higgs fields is restored again, all its fields neatly filled. But reactions keep on taking place in masses and their Higgs field absorption causes new holes in the vacuum, ensuring ongoing gravitation. Masses and their acquired velocities undergo SR (special relativistic) effects. SR is not in doubt. When the vacuum marble field sags in, it drags along all that is in it and that traverses it, including light rays. As a result the light paths bow and the light is red or blue shifted and in doing so, they trace out the curved GR coordinate system. It would be simplest when space is Euclid Minkowski space form the start. Subsequently space IS distorted by vacuum marbles disappearing in matter. A distance is the number of vacuum marbles on the line connecting the mass centers of two objects. When there are lesser vacuum marbles along that line, then these objects THUS are nearer to each other. There is no space behind the space (except for the field of all possible velocities that superposes us). Then subsequent rearranging while sagging in, shell after shell, restores flat Euclid space. The developing light ray pattern simulates curved space. GR's equations are right, of course, but the curvature is an electromagnetic illusion, an optical illusion. Rearrangement of vacuum marbles always returns to Minkowski space. The contribution of gravity to the overall curvature of the universe is zero. In accepted GR, the most complicated curvature possible that still is isotropic, has an embedding space (minimum of flat space containing the curved space) of at least 7 dimensions. In the view proposed here the embedding space always is 4-dimensional Euclid spacetime. When a light ray passes by the Earth and is deflected by the Earth gravitational field, then the deflection according to GR is twice the deflection according to Newton. This is confirmed by observation. All of space filled with marbles, at different rates disappearing at mass centers as through a drain – a stream pattern arises: gravitation. All objects in it are dragged by it, along with their velocities. Fluid equations in flat spacetime should be equivalent to the tensors of curved space. The grid of marbles, spanning empty vacuum, can be called a solid state vacuum. All vacuum marble connections are present. The gravitational field in action, the act of sagging-in, acts like a liquid. The gravitational field in action is supposed to be a liquid Bose condensate. The vacuum marble connections are partly present and partly disconnected. When fully disconnected, vacuum marbles will not see each other anymore. Their relative distances become undefined. They have become superposed states relative to each other. This can be called the gaseous state of the vacuum. At page 24 of the book Surely you're joking, mr. Feynman I found the following. Start with a rocket from the Earth and be back when the clock on the ground has ticked away 1 hour. Choose your path such that in the rocket elapses as much time as possible. The larger the height, the weaker the Earth gravitational field, the faster runs the internal rocket clock (GR). The larger the rocket's velocity the slower its clocks run (SR). It turns out that free fall (no acceleration except from the gravitational field) gives the maximum total elapse of time in the rocket. So you shouldn't use the rocket's engine to navigate. At the start just give a single upward thrust such it is back after a fall of one hour. Anyway, this is the working model of gravitation we use all over this TONE and all over my website. Now there are two ways to proceed. First, the precise description of the mechanism of gravitation given here allows us to formulate the process in backward time direction. This is the way we go now. Second, we are going to fill in the vacuum marbles with particles we already know: gluons, gluon pairs to be precise. But we will do so with the colors of the gluons and quarks expressed in quaternions. This is the way we go thereafter. 1) The gravitation law of Newton is derived in a way that fits in with a kind of Higgs field absorption AND that fits in with the premisses of GR. 2) GR is not implemented but it is clear such a thing must be possible. 3) Provided conclusions 1 and 2 are right, space and time are quantized and are made of particles (so-called vacuum particles). A dynamics F = ma is achieved by something that I call “putting velocity in a box”; this still feels a little artificial and not completely convincing. Probably GR is implemented by more severely restricting the boundary conditions of GR, in such a way that the end result might be curved but always will fit into an uncurved 4-dimensional Minkowski embedding space. More considerations like this are at my website at leandraphysics dot nl slash grav8 dot html. Anyway, this is the working model of gravitation we use all over this TONE and all over my website. The notion that antimatter is going backward in time is not new. Especially Feynman and Wheeler have pointed this out and did a great effort to implement it in physics. However, without a proper theory of gravitation this is virtually impossible. inward directed, “attractive” centrifugal force. When put into motion and all connecting, all these things force each other to fit in this way. But what is strange is how the first event chooses its time direction. Time has two directions to go to, forward and backward. Imagine at the beginning of the universe two compartments of space completely isolated from each other. In each of them events set the arrow of time. Next the isolated spaces come in contact. How can it be their arrows of time always happen to line up in the same direction? I think they don’t. In the beginning of the universe clouds of atoms start to contract. Some clouds have forward time direction while others evolve backward time direction. The clouds of forward time direction became the galaxies we now see around us. The backward time evolving clouds are created at the end of our universe – let’s suppose this is a finite amount of time in the future – and are developing towards the beginning of the universe. As observed by us, their heat emission is radiation from the environment toward them – that we thus do not observe. They are dark! Dark clouds evolving to dark galaxies where time is running backwards. As many of them as the clouds of atoms at the end of our universe can provide. When we look at them, instead of receiving light from the scene, the retina now undergoes a (forced, stimulated) emission of the same light towards the scene. The eye most probably is not adapted to accompany the stimulated emissions from the retina towards the scene with a signal from the retina to the brain. You won't see anything. item 11 at page 1 of THE DIRECTION OF TIME. The next picture (drag the cursor over the bars from left to the right) is a kind of cartoon showing the sagging-in shells in gravity and the expanding-out shells of backward time evolving gravitation. Their laws of nature are identical to ours. They see us precisely in the same way as we see them. In order to prevent their planets being dragged away from their suns, I divised a trick. Imagine a dark planet orbiting a dark sun. At the planet we assume a hidden supply of velocity – in equal amounts in both directions, carefully adding up to zero – from which the outward stream of vacuum erases one. Outward flow of vacuum removes velocity from the planets. The complement velocity, directed towards the dark star, remains and pushes the planet a bit towards the star, thus forcing it in orbit around the star. Dark flow erases velocity. A laborious formulation, but using the view of vacuum flow, I see no other way to maintain the picture of gravity sketched so far and also create the film of events in backward time direction of dark planets orbiting dark suns. At 3.5 Dark Multiplication Rules is presented how this can become. There must be a time arrow in the vacuum itself. Where gravitational sagging-in of shells dominates, vacuum goes forward in time. Where antigravitational expansion of shells dominate, vacuum goes backward in time. Where gravitation and expansion equal each other, there is the time border. Only when the number of clumped together antimatter atoms grows, they first conquer the space in the antiprotons, then win backward vacuum in the atom's volume, and finally occupy the space between the anti-atoms and anti-molecules. And then anti-entropic behavior is expected, inside the time border. The way dark vacuum conquers bright space when the amount of dark matter grows, is quite complex. It is worked out at page 4, page 5 (skip the Diamond), page 6 and 7 of the storyline FORWARD BACKWARD TIME DIRECTION. If the shown part of spacetime is void of everything and then a particle or object moves AX at constant rectilinear speed according to the first law of Newton, then the part of the track behind the time border that fits in with it, is CX (and not XD). In backward time evolving vacuum rules dark mechanics, the flow of gravitational field erasing velocity. The erasing of velocity only holds in backward vacuum as observed by us. When a dark star gravitates as the dark star observes it in its own frame, they see gravitation precisely like us. They see their stars being bright. When the wave of sagging-ins from the dark star enters the time border, the part at the other side (our side) will be expanding-out shells, a repulsive gravity indeed. We don't observe erasing of velocity at our side of the time border, neither from our own sun nor from the gravitational field of the dark star. We observe repelling gravity from dark matter far away. Where are they? In galaxy clusters the individual galaxies move too fast. Gravitating Dark Matter (mark the capitals) is supposed to be present in the cluster to keep the cluster together. (In this TONE, when speaking about dark matter or dark behavior or anything dark, we mean backward time evolving matter and -behavior and so on. We will seldom refer to the accepted Dark Matter that gravitates and is invisible.) It sounds unlikely to find repelling gravity in a place where we try to recognize an extra attraction already. A better place for backward time evolving dark galaxies seems to be in the center of the voids between galaxy clusters. The expanding shells of antigravity of dark matter can be interpreted as an expansion of space, eventually creating the voids. It explaines the Dark Energy. It does not explain the expansion of the universe. Can we observe a dark galaxy? Use a telescope that can collect sufficient light from a bright galaxy at the same distance to form a picture. As observed by us, the dark stars in the dark galaxies absorb light, instead of radiating it. Those absorbed light rays then are assumed to originate at the same places where the stars of a bright galaxy would have dropped its light. Assumed is our matter undergoes an anti-entropic Stimulated Emission of Radiation (SER) when the light of the dark star “arrives” there (in fact it departs there). They see it arriving, we call it light that is drawn from our matter and heads for the dark star. Nor the common observation instrument nor our eye is adapted to perceive such a stimulated emission and subsequently to sent a signal to the brain, or the computer. So take atoms or something that are at the brink of emitting an entangled photon pair, in a gas, a liquid, a thin sheet of solid matter. The entangled photons of a pair normally are emitted in random opposite directions, but an additional amount of stimulated emission is present towards the dark stars and dark clouds of dust in the dark galaxies far away, and in the opposite direction. It is the latter you can collect in the observation instrument to form a picture. With the picture in mind of gravitation as sagging-in shells of vacuum and dark gravitation as expanding-out shells of vacuum, it is possible to imagine what happens when e.g. a small dark mass orbits a large bright mass. I worked out an estimation in paragraph Dark and Bright Planets and Stars of Equal Mass at page 2 of THE EXPANSION OF THE UNIVERSE. Three special cases are outstanding. A) What happens when two planets of equal mass, one bright, the other dark, pass each other by? There is outflow of vacuum from the dark mass and inflow of vacuum into the bright mass, as we observe it. At all times the outflow of vacuum from the dark mass equals precisely the inflow of vacuum into the bright mass. As a consequence there is only a flow of vacuum between the planets. The amount of vacuum between the planets remains the same. They will not change each other’s motion, they will not deviate each other’s paths. They will pass each other by with constant rectilinear motion, their orbits just any pair of straight lines. And if they don't have any velocity relative to each other they keep it that way, hanging motionless relative to each other. B) Everywhere dark matter meets bright matter, the time border is between them. The Large Time Border is the time border in between our cluster of bright galaxies and the most nearby cluster of dark galaxies. Imagine a small mass, bright or dark, near the Large Time Border at our side. The faint remnant of gravitation from our cluster tries to move it towards us, away from the time border. The same amount of gravitation from the dark cluster, at our side of the Large Time Border consists of expanding-out shells around the dark cluster that tries to move it with same force in the same direction, away from the time border toward us. Both gravitations work together to keep the time border void of matter. After sufficient time space at a time border will be empty. C) The positron by its tiny gravitational field creates a spherical bubble of dark vacuum around it, with the positron off-center in it. In our frame this bubble is observed as a backward time evolving vacuum wherein the quark did emit a vacuum marble, a Higgs field marble. The emission causes shells of vacuum around the quark to expand (the time reversed version of sagging-in). As long as inside the bubble, this is antigravity that nevertheless erases velocity (if there were masses inside). Once outside the bubble, the expanding shells are repulsive gravity indeed. When the electron approaches the positron within its time border, then the composite absorbs Higgs field particles at precisely the same pace as it emits them. The composition does not absorb nor emit Higgs field particles and thus is massless and has zero gravitational field. Since the particles have no mass, they immediately gain lightspeed. They force each other along the same path, because the slightest separation (10 -20 m at the Earth surface) would separate the forward and backward vacuums and then the electron and positron would get mass, for which the energy is lacking. By now the composite is resembling the photon too much to ignore. If so then the photon is erased from the list of fundamental particles in the Standard Model. When an electron in an atom emits a photon, where the positron is coming from? Inside each electron, according to QED renormalization theory, there is a superposition of a horde of electron-positron pairs shielding the “naked” core. The building up of shielding necessitates the naked core to approach infinite charge and zero mass. One of such pairs from the shield may sufficiently coincide and form a photon and leave the electron. Mind the e- e+ pairs are superpositions relative to each other, they don't see each other. They don't form a cloud of e- e+ pairs. Besides, there are infinite of them. They won't miss a pair. Usually, to maintain composition the spin of the particles best align and as soon as they gained lightspeed they stay aligned. However, since they force each other along the same path, spin alignment is no longer needed. Normally electron positron pairs appear with quantum numbers as opposing as possible. The emerging electron positron pair sets out as spin electron + spin positron = 1/2 - 1/2 = 0. So why spin 0 photons shouldn't form? To be discussed further down, they do, and they form another grid of vacuum marbles. There is a second Higgs field, the leptonic Higgs field, as I would call it. If the electron and positron spin add up as 1/2 + 1/2 = 1 and -1/2 -1/2 = -1, then this is the photon as we know it. I see two main paths how this can come to be. 1) The original QED renormalization theory is about electron positron pairs shielding the naked core of an electron or positron. In case of the electron, it talked about “the positron of a pair going a little nearer to the negative charged core and the electron going a little further away from the core”, This assumes interaction taking place, virtual photons going from the core to our pair. The stages of the described separation process in its subsequent moments in 1 single e- e+ pair are all part of one single virtual process. Each subsequent extra photon from the core, coupling to our pair, diminishes the contribution of the matching Feynman diagram with a factor 10, because of the coupling constant being about 0.1. Therefore only the first photons coming in from the core give a significant contribution, resulting in only a small charge separation in an electron positron pair that appears in the shield. Anyway, the electron and positron of one shield pair do absorb photons from the core. Each photon absorption swaps the spin of the e+ or e-. As soon as they are within their time borders and their spins happen to align, they become a spin 1 (or spin -1) photon and leave the electron at lightspeed. When energy is available the spin 1 photon becomes real, otherwise it stays virtual. If this is the photon, then also the gluon might consist of a quark and an antiquark, massless coinciding. The spin-story would be identical. The electric charges would cancel likewise. If the taste of a quark is u, then the taste of its antiquark must be anti-u, and u and anti-u should cancel then to zero taste. This is worked out in paragraph 5.2 below, Four quarks in the shell. But to understand it you need the next paragraph about colors as quaternion units. 1) If there is antimatter in our universe, then there must have formed dark backward time evolving antimatter galaxies, probably in the voids. 2) A mass and an antimass of equal size will not influence each other by gravity. 3) The time border is empty, no mass is collecting there. 4) The gravitation of antimatter acts at our side of the time border as repelling gravity, as antigravity. 5) The photon exists of an electron and a positron massless coinciding. Therefore the photon is wiped from the list of elementary particles. After traveling AX the usual choices where to go seem to be XD or CX. Here XD is the usual scifi choice of going backward in time, leading to a wealth of paradoxes. This way is not to choose. We take CX (from C to X) as a second possible way of going backward in time. I investigate this at my website, read page 4 up to page 7 in the storyline FORWARD BACKWARD TIME DIRECTION at leandraphysics dot nl slash fbtime4 dot html. Skip “The Diamond” at page 6, which is the usual scifi approach. Also in chapter 5 Intricacies, paragraph “5.1 At the time border” this is worked out further. At the beginning of the universe our matter went forward in time while the antimatter went in backward time direction, starting from the Big Bang. On itself this is a direct and simple explanation why there is no antimatter in our universe. However, my guess is there is a second Big Bang in our future, most probably (but not necessarily) preceded by a Big Crunch of our universe. From that second Big Bang matter goes forward in time and antimatter goes backward in time, the latter entering our universe. Since our matter originates from the 1st Big Bang and our antimatter originates from the 2nd Big Bang, their relative amounts, their simultaneous densities, not necessarily have to match. I ran into the existence of quaternions in 2012. In QCD there are three colors of the strong force and together they form something that has no color no more and that is called white. There are three imaginary quaternion units and multiplied together they form something that has no imaginarity no more: ijk = -1 or kji = 1. It was this resemblance that stroke me in 2012 and put me on the track. In QCD color is a real property. In QCD, despite all attempts so far have failed, it is not forbidden to observe color. In this TONE we replace colors by the imaginary units of quaternions. Maybe a better name then would be QQD, Quantum Quaternion Dynamics, instead of QCD. There are three colors of the strong force and together they form something that has no color no more and that is called white. There are three imaginary quaternion units and multiplied together they form something that has no imaginairity any more: ijk = -1 or kji = 1. It was this resemblance that put me on the track. In QCD one can construct the color circle. Six colors and white, a kind of “seventh color”, in the center. From (3.1.2) and the colorcircle we replace the anticolors. In QQD we use the axes system of the imaginary quaternion units, instead of the colorcircle. Mark this specific projection resembles the color circle a lot. In the Feynman diagram above quark 1 emits a gluon at point B. The gluon takes away the magenta from the quark and carries it off in its upper color. “Taking away” sounds as a subtraction, but in quaternions “taking away” is dividing by. A correlated pair of colors cyan – anticyan appears. The cyan is given to quark 1 and the anticyan – red that is – is carried off by the gluon in its lower color. In accepted “color stream representation” of QCD it is depicted as its anticolor cyan. “Adding” looks like an adding but in quaternions “adding” is multiply by. The notation / = -j / -i comes closest to depicting gluons as upper and lower color, . Magenta in the upper color, cyan as lower color and the border between them as the break line. In quaternions you can calculate the gluon, e.g. i -j = -k. In the gluon table all 36 possible gluons are calculated. You may have a glance at it but we shall seldom use the table. In QQD we don't recognize the color source-and-goal restriction of gluons as is common in QCD. In quaternions every color can emit every other color, only restricted by that eventually the outcome cannot be afforded or is forbidden. The color of the gluon is taken as a quaternion unit only and we seldom bother about its color origin or color goal. In QCD the color product end state of red, green and blue, and also of cyan, magenta and yellow, equals white. however black never played a role in QCD. For baryons in first occasion the sum end state is i + j + k (or i -j -k and so on, see below). So for baryons, zero color sum end state can only be achieved by superposition of wavefunctions. What is this? Minus two times a baryon? The original two baryons? Why the minus sign? IF kji = 1 is color neutral THEN -k -j i = 1 is color neutral too. In the next cartoon i, j, k, -i, -j and -k are quark colors, 1 and -1 are gluons. The transition from b1 (baryon 1) to b3 is caused by -1 going from i to j (b2) OR by -1 going from j to i (b2 below). The emitting color is divided by -1 and the absorbing color is multiplied by -1. The two possibilities b2 and b2-below cannot be distinguished and superpose. According to https://en.wikipedia.org/wiki/quaternion (somewhere in the middle) quaternions can be represented as 2 x 2 matrices. (3.4.7) means s1 s2 = i, s1 s3 = -j, and so on. Seven quaternion units 1, i, j, k, -i, -j and -k are formed, but -1 isn't. Everywhere in this TONE you can replace every quaternion unit by the appropriate Pauli matrix product and then there is no quaternion anywhere in this TONE no more. Nevertheless, the quaternion calculation formalism remains intact as long as you always and everywhere keep the Pauli matrices of one product together. A Pauli matrix usually means a particle, e.g. an electron. Two Pauli matrices in multiplication usually mean two particles in interaction, e.g. a collision. Two Pauli matrices staying in multiplication then mean two particles in continuous interaction, like in a composite. As is worked out in paragraph 5.2 Four Quarks in the Shell, the gluon might be composed of a quark and an antiquark massless coinciding within their time borders. Now it is tempting to identify the quark as well as the antiquark with a Pauli matrix, which product yields a quaternion unit, a color of the strong force – a gluon. But each of these two quarks has color too and each color consists of two Pauli matrices. So this is not that easy. ijk = -1 according to (3.1.1). In anticipation to Quaternion Gravitation we already give the dark multiplication rules, the computing rules as they hold in backward time evolving vacuum as observed by us, from our frame of reference. The clue leading to this rules is at paragraph Dark Multiplication Rules at page 2 of THE EXPANSION OF THE UNIVERSE, but first: to understand it one has to read Quaternion Gravitation, and second: it is not a very strong clue. One might say as well the dark multiplication rules are given by intuition – just a set of rules I think that works in dark vacuum. When applying (3.5.1) one gets (3.5.2) and (3.5.3). (3.5.3) means DARK s1 s2 = -i, DARK s1 s3 = j, and so on. 2) In QQD gluons are colors too. Where in QCD a color (of a quark) is multiplied by a Gell-Mann matrix (a gluon) in order to yield another color (of the quark), there in QQD the gluon is a color too. In QQD a color times a color always yields a color again (a quaternion unit times a quaternion unit always yields a quaternion unit). 3) A Gell-Mann matrix (a gluon) is a kind of Pauli matrix. In QQD the gluons are the product of TWO Pauli matrices. In QQD colors in general are the product of two Pauli matrices. Except for -1 of course. 4) According to (3.1.11) a gluon maybe rather is a line segment than a particle. It has its color at both ends of the line segment. 5) In backward time evolving vacuum the rules of multiplication are different. This is taken as the cause of all dark behavior like the so-called “erasing of velocity” in chapter 2 The Acceleration of the Expansion of the Universe. However an effort to calculate this has not yet been undertaken. This scheme shows the first 3 (out of 8) Gell-Mann matrices, lambda 1, lambda 2 and lambda 3 and their products. These products are the matrices I propose as gluons. The red frames are the Pauli matrices. The green frames are the quaternion units, except for -1. The large blue frames together are one subset. Lambda 4 up to 8 (not shown) are not to be used. I cannot judge this commentary. So for the moment I proceed with my findings so far. We are going to fill in the vacuum marbles with pairs of spin 1 gluons. Why gluons? The gluon is a well-known particle, we don't have to introduce a new particle. And it is the strongest and fastest reacting particle (highest number of reactions per second). Mind we are building spacetime, the grid to which all events are attached. If the particle making up the grid, was a weaker and slower reacting particle then the fastest reacting particles most of the time would have no spacetime background and at the sparse moments they had, the strongest particles as they are, would tend to rip the background apart, which is not observed. Current QCD presents the gluon as a particle with color charge, reaction time of 10 -23 sec and spin +1 or -1. In my description the gluon gets a fourth property: it embodies a tiny bit of space (when in pairs). The proton traversing the vacuum acts as if it doesn't react with the vacuum. The vacuum is chosen to consist of vacuum marbles, vacuum particles. IF the proton reacts with the vacuum then the wavefunction F of the proton times a vacuum particle must equal F, so the vacuum particle must be 1. So the vacuum can consist of gluons that are 1. If so then each quark of the proton reacts with the vacuum 10 23 times per second (typical strong force reaction time). In each reaction the quark absorbs a vacuum marble (Higgs mechanism), thus causing the tiny gravitational field of the proton, according to the mechanism described earlier. Gluons that are 1 are called glueballs. But colorless gluons don't glue, the vacuum they form will not cohere. So it must be colored gluons, i, j, k, -i, -j or -k, these gluons glue, gluing 3 dimensional space together. But there is no color in the vacuum. When there was, like the color i, then F i = iF which does not equal F no more. It must be pairs of colored gluons that equal one: i -i = j -j = k -k = 1. So the vacuum should consists of the gluon pairs ( i -i ), ( j -j ) and ( k -k ). Gluons are massless. Supposed is the composition of two gluons is still massless, the composition has no net absorption from the Higgs field (this is worked out further down). The vacuum particles of (4.1.2), do they have antiparticles? We construct the antiparticles by replacing every gluon in (4.1.2) by its opposing color, i by -i, j by -j and so on. It is the same as multiplying every particle by -1.
which happen to be precisely the same particle pairs as in (4.1.2). The vacuum particle pairs are their own antiparticle, like the photon. Photons don't annihilate each other nor themselves, despite they are their own antiparticle. There are two ways now to proceed. As observed by us, forward time people, (4.1.10) is a massive vacuum, a vacuum with a massive component. The energy for that is not available. So in our vacuum (4.1.10) will not occur, only (4.1.8) will. Therefore time will run forward only. The secret of time. The vacuum particles from the vacuum superposition are no longer all their own antiparticle now. (4.1.8) are the antiparticles of (4.1.10) and vice versa. Moreover, multiplying (4.1.8) with -1 (the time-reversing factor) yields (4.1.10), multiplying (4.1.10) with -1 yields (4.1.8) again. 1ijk QUATERNION SPACE CORRESPONDS WITH xyzt SPACETIME. IMAGINARY COLOR SPACE ijk CORRESPONDS WITH REAL SPACE xyz. REAL QUATERNION AXIS 1 CORRESPONDS WITH IMAGINARY TIME AXIS t.
1, i, j, k not only are colors but are dimensions as well. t = time in frame 0, t' = time in frame 1, t'' = time in frame 2, and so on. All frames differ a velocity. Frame 0 sees frame 1 to have velocity v, frame 1 sees frame 0 to have velocity -v. Displacement s = vt, s' = -vt'. 1ijk-space = quaternion space, xyzt-spacetime = our well-known spacetime. Take in mind two events A and B and set the Origin in A. The 0 means s = 0, we just set s at zero. In fact this is all there is to SR. It is called the invariance of the interval. When there was no SR then in an x-t-diagram would have hold the theorem of Pythagoras, (c t') + s' = constant for all frames. The t-axis and the axes x, y and z would be perpendicular to each other in all frames. Lengths along the t axis would have been treated just like lengths along x, y or z. So only this minus sign is the difference between Newton spacetime and Minkowski spacetime. Can quaternions provide this minus sign? Which is the ordinary Pythagoras theorem in 1ijk-space. I sometimes call this the “real-imaginary swap”. It has to be admitted that other properties like surface and volume are not directly recognized as working the same in 1ijk and xyzt space. The gravitational field has spin 2. Take the vacuum marbles of the gravitational field to consist of gl gl (spin +2) and gl gl (spin –2). Here gl = gluon, = spin +1, = spin -1. The marbles of gravitation are called gravitons, referring to the concept of a “bose condensate of gravitons”. The Higgs field has spin 0. Take the vacuum marbles of the hadronic Higgs field to consists of gl gl and gl gl (spin 0). The marbles of the Higgs field are called Higgs field particles. Suppose one of the two gluons from graviton gl gl absorbs a graviton gl gl . Three gluons merge easier than two gluons, see page 7 of NET FORCES IN QCD. Then the Higgs field particle gl gl is absorbed at the coupling of a quark in the course of renormalization, leaving another empty place there. If two gravitons gl gl and gl gl would just swap a gluon, one gets gl gl and gl gl . Now there are two Higgs particles in one single stroke to be absorbed in the course of renormalization. I cannot judge whether this can yield a heavier particle or not. If so, one is tempted to think at a higher generation. But then again, if so then where is the third generation? Suppose, at the spot of a quark in a baryon two gravitons from the vacuum – four gluons altogether – couple as follows. Two gluons of opposite spin merge, one gluon from graviton 1 and one gluon from graviton 2. Then the remaining two gluons, also of opposite spin, merge too. There are two possibilities for this, I I and X (one above the other or crosswise). To end up with spin1 gluons we need to assume “one spin from one gluon from graviton 1 to annihilate with one spin from one gluon from graviton 2”. This is thought to take place at the location of a quark, the quark mediates this spin conversion. Take in mind a baryon, three quarks together. If this conversion also detaches the gluons from each other, then you have two independent gluons of opposite color. Then one gluon can go to the second quark and the other to the third quark. The wavefunction of the Feynman diagram of the baryon is provided with color in page 2 of QQD. Higgs mechanism 2 in this wavefunction must be something like the following (quaternion parts only). The baryon start state is quark of color i, quark of color j and quark of color k (k-quark not shown). Then a vacuum particle ( -k k ) appears. This is quark i that absorbs a gluon -k and quark j that absorbs the other gluon -k. Mark when it would have been quark i that emits a gluon -k and quark j that absorbs the gluon -k, then the equations are precisely the same. Finally 2 gravitons convert into 1 empty spot and 1 Higgs particle at the spot (nearly) of a quark, and the Higgs particle converts to 2 separate gluons. This might be all there is to the exchange of gluons in the baryon. It might be a quark never emits a gluon, they only absorb gluons, in pairs made on the spot. For every gluon pair that is absorbed, there disappears the volume of 2 gravitons from the vacuum. Maybe the processes superpose. The QCD view where a gluon goes from one quark to the other leading to a swap of the colors of the quarks, superposes with the vacuum marble absorption process just described. But mark, the reaction of gluon exchange between quarks would be pure then, without absorption from the vacuum. When there is no marble absorption from the vacuum, there is no Higgs field absorption nor gravitation either, anyway not in this website. So pure gluon exchange between quarks would be massless and gravity-less – the Einstein assumption that E=mc mass is proportional to gravitational mass (that is the mass causing the gravitational field) remains fulfilled. Decisive might be the energy involved. If you have choice OR to provide the energy for an intermediating gluon, albeit only for a short time, OR you can get it for free from the vacuum, just being there to be absorbed, then the choice seems easy. The lowest energy one will be chosen most often. Consider table (4.3.3), the outcome of nr 2, ( k ) ( k ) + ( -k ) ( -k ). Two gluons appeared, where do they go? We start with a baryon with colors i, j and k, to denote as baryon ( i j k ). When ( k ) ( k ) emerge at the quark with color k then one ( k ) arrives at the quark of color i and the other ( k ) at the quark with color j. Then ik = -j and jk = i (mark we had to right-multiply the quark by the gluon) The quarks in the baryon then have colors -j, i and k. Then -j i k = -1, so this is a permitted state. When i and k would exchange a black glueball then ( -j i k ) converts to ( -j -i -k ) which is an antibaryon. (Paragraph 3.3 Black Glueball Exchange had already argued baryons usually might be in a quark-antiquark mix of net color white, or black). So, as far as the colors are concerned, this reaction converts a baryon into an antibaryon. While the subsequent reaction will turn the antibaryon back into a baryon. Note this alternation doesn't affect the electric charge of the baryon, nor its taste, spin or mass. It's only a color-thing and colors, unlike the four other properties, cannot be observed directly. Multiplication order in -j i k is not defined so all orders superpose, always yielding 1 or -1. In each of the sets A up to F the first column ( i -j k ) is the baryon – there is no specific order of i, -j and k in the baryon. The second column is (k) and (k), or (-k) and (-k), the gluons that react with the baryon. After reacting, A and B are baryons again. In A: when the end states -j and -i would interchange a black glueball, they would convert to j and i, resulting in baryon ( i j k ). So ( -i -j k ) holds as a baryon state. In A up to F there is absorbed 1 vacuum particle (Higgs mechanism), the vacuum is reduced by the volume of 1 vacuum particle (1 bit of gravity). In C the ( k ) ( k ) gluon pair is assumed to emerge at the quark of color i. The gluons then go to quark -j and k respectively. This results in a meson-like composition ( i -i ) and a quark of color -1. We know black gluons, but what is a black quark? The absorption of the ( k ) ( k ) is the Higgs mechanism, so both the -i (formerly -j) and the -1 (formerly k) acquire mass. Still in column C. Suppose the baryon is a proton and the i and -i (formerly i and -j) are an u- and d-quark. Then our -1 must be an u-quark of spin +1/2 or -1/2. There are two possibilities: it escapes or it doesn't. When it doesn't, the color -1 quark maintains its spin 1/2, taste u and electric charge +2/3, no reason to assume otherwise. Because -1 doesn't glue, the -1 quark is no longer bound by color, only by electric charge. So I expect it to enlarge its distance and form a halo around the ( i -i ) meson, a zero-color quark-cloud around the remaining two quarks, like the electron does around the nucleus. Well, I guess it would work a lot better when the i and -i were both u and the d circles around them. So let's do it that way. Regard Higgs mechanism 2 working between the quarks. Two separate gluons (former vacuum particle) have to go to two quarks but when one of them is at large distance the gluon that has to reach for it, has to travel too long a distance. When distance of d to the two u quarks starts to increase, it becomes increasingly difficult to provide the black d quark with mass. The black d quark has color value -1 and is not attracted by the two u quarks by color force. We concluded in (4.3.5) that attraction between quarks is the Higgs mechanism. So the Higgs mechanism doesn't work between the black d quark and the two u quarks. The black d quark is massless. It will not be kept in orbit. It escapes after a short transition time and gains lightspeed. A particle of -1/3 electric charge as the d is, is never observed, only integer charges are. Massless electric charge has never been observed. So the charge must somehow have been redistributed. The easiest way is to assume it had transferred its electric charge to one of the two u's, -1/3 + 2/3 = +1/3, leading to the meson of charge +1/3 +2/3 = +1 electric charge. The escaping particle then has no electric charge. Could the escaping color -1 black quark be a black glueball? The sole black glueball is massive according to (4.1.7), but massless according to (4.1.9). Quarks have spin 1/2, the black glueball as well as the meson have integer spin. No, it cannot be the black glueball. Unless it gives a spin 1/2 to another particle like a neutrino? THE MECHANISM OF CHARGE REDISTRIBUTION IS YET UNKNOWN. Can the escaping black quark become the electron, or the neutrino? When the charge redistribution gives the electric charge to the black quark it is the electron, and when the charge redistribution gives the electric charge to the u anti-u meson, it is the neutrino? And both are given mass by Higgs mechanism 1? Moreover, usual particle physics needs the electron and the neutrino simultaneously, and not only one of them at the time. So the sole quark from (C) has electric charge zero. Or has mass. Or both. Take in mind vacuum particle ( i -i ). For convenience, look at the vacuum particle as if it is a meson with quarks of colors i and -i, but then gluons of color i and -i instead of the two quarks. The i is at B and the -i is at D, see spacetime diagram below. When Higgs mechanism 2 is at work as described in table (4.3.3), and a pair of gluons like ( k ) ( k ) or ( -k ) ( -k ) appears at X with the intention to give the i and the -i mass, then i absorbs one ( k ) while -i emits the other ( k ) as it is observed by us, forward people. The emission cancels the absorption, emitting towards the Higgs field is gaining mass too, backward time evolving mass. As long as i and -i remain within their time borders, the composition of the two remains massless. SbXbU is the time border, hidden behind the letters S, X and U there is another b. Mind the opposite time arrows at both sides of the time border. Chosen is to represent the particles as they are observed by us (and not as they are locally observed). The ( k ) at their side is by them observed as ( -k ). The -i at D as we observe it, would by them have been denoted as an i. This provides a way to understand the existence of gluon-gluon reactions a little better. It was always a little uneasy to imagine how two lightspeed particles can react. Neither of the particles has time elapsing, so there seemed to be no frame where the reaction can take its space and time. Gluon 1 has no mass, neither has gluon 2. But when gluon 1 and gluon 2 are at about 0.9 fm mutual distance, then color force is at maximum. For one single moment the gluons form a pair. There are two colors together and Higgs mechanism 2 sees its chance to work. The gluons didn't see each other, but the vacuum does. For one moment both gluons of the pair get mass. For that single moment both gluons have no lightspeed no longer. They have time to react and so they do. The resulting merger gluon number 3 then is massless as the original two gluons were. I have no physical interpretation for multiplication order of only two factors, nor for quaternion units, nor for Pauli matrices. I do have an interpretation for changing between dark and bright multiplication rules. So it seems clear the last prevails. Changing multiplication order just like that is not recognized as a state change. There is tried multiplication order as time order of interaction. A disadvantage for lower-than-lightspeed particles then is that a multiplication order that yield 1 in one frame might become a different multiplication order that yields -1 in another frame. So no, multiplication order is not the time order of occurrence. Let's continue our treatment of table (4.3.6). In D results meson ( i i ) and a white quark, massive because of Higgs absorption. It is massive only at the first instant of its moment of creation. After that moment the white quark is massless as argued. Like in C, the white quark becomes a halo, a white-quark cloud around the meson ( i i ) and then it escapes (needs charge redistribution). The meson has value i i = -1. We have three 1's now, three colorless quarks, the baryon is ready to decay completely. But the quarks still have electric charges +2/3, +2/3 and -1/3, these have to be redistributed first, see (4.3.8) and (4.3.9). The easiest way seems to be that one of the color 1 particles gets +1 electric charge and the other two become electrically neutral. No color force no more between the remaining particles, no electric force either. The baryon decays in its 3 former quarks. Three particles without color, one with +1 electric charge and thus mass, all have spin 1/2, the remaining two masses unknown. I do not directly recognize this. What particles can it be? Mind the mechanism of charge redistribution is unknown. We forgot so far to treat nr 3, 4 and 5 of scheme (4.3.3). Number 3 is analogous to number 2. Number 4 is a vacuum particle that has split in ( i ) and ( -i ). Number 5 is forbidden. 1) The gravitational field is the Higgs field. 2) Higgs mechanism 2 provides the mass of the particles AND is the main mechanism of attraction between quarks. 3) Direct gluon exchange might not exist. 4) Sole color cannot be given mass by Higgs mechanism 2. When sole color is massless, it will gain lightspeed. Therefore we don't observe massive particles with sole color. 5) Two colors will always be given mass by Higgs mechanism 2. Therefore we only observe 2-quark and 3-quark massive systems. 6) IF the white and black quark with and without electric charge are the leptons, then the leptons are wiped from the list of elementary particles. 1) Does the black glueball have mass? Or two black glueballs together? If so, then why the ( 1 1 ) vacuum particle stays massless? 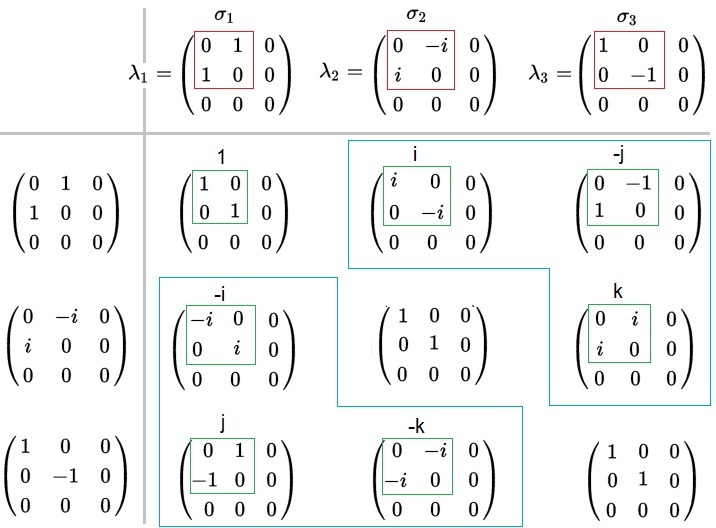 2) When a color consists of two Pauli matrices in multiplication, then is changing multiplication order the same as changing multiplication rules from bright to dark, or from dark to bright? 3) Is the white or black electric charged quark respectively the electron and the positron? 4) Is the white or black quark without electric charge the neutrino? 5) Where is the chirality? Experimentally only the neutrino’s and do exist. I we say that a color +1 gluon passes the time border, then there are two ways for this expression to get meaning. 1) If they send what is to them a color +1 gluon toward the time border along CX (from C to X, see space time diagram below), then a color -1 gluon is drawn from our matter at A and goes to the same spacetime point X at the time border. The -1 gluon (what to us appears as a -1 gluon) is a +1 gluon as they observe it, enveloped by a tiny parcel of backward time evolving vacuum – that is, backward time evolving as we observe it. The drawn gluon itself judges itself to go from X to A, immersed in a tiny bubble of forward vacuum. Both line segments are in line with each other, together precisely forming one single line through the time border without a kink, just as if there was no time border there. The drawing at A is as such that at X wavefunction AX and the wavefunction CX suit perfectly to each other (same amplitude and phase). The line of b's is the time border. Behind the S, X and U there is another b. Not to scale. Colors don't move over larger distances than a few fm, so normally that's the scale of a color scene. But these are colorless colors +1 and -1, therefore ABCD may contain just one vacuum particle as well as encircle a large group of galaxies. 2) If the time border itself at X radiates a color +1 gluon to them at D and a color -1 gluon (that is a +1 gluon from their world enveloped by a tiny parcel of backward time evolving vacuum) to us at B.
I wrote an entire storyline, FORWARD BACKWARD TIME DIRECTION, about the subject. Read page 4 up to page 7. Skip “The Diamond” at page 6, it's nonsense. QCD renormalization theory says there is a superposition of a horde of color-anticolor pairs, shielding the “naked” color of the quark. In QED the electron's field is diminished by the electron positron pairs that surround the electron's core, so the core needs to be stronger to yield same outside field. In QCD the color pairs tend to increase the color field, so the core must have smaller strength to yield same color field to the outside. Used is the picture of the quark as a color shell of diameter 0.9 fm, the distance where the strong force is at maximum. To the outside the force drops exponentially with distance, to the inside proportional to distance, in the center the force is zero. We suppose the 4 quarks to appear within their time borders, at the Earth surface within 10 -19 m or 10 -4 fm. Quarks have maximum attraction at about 0.9 fm, so the 4 quarks hardly attract each other. They don't form pairs under strong force attraction. Emerging quark pairs always consist of a quark and an antiquark with opposite taste, color and spin. Electric charge already is “in” the taste, e.g. when the taste is u then electric charge is +2/3 times the electron charge. When the taste is d then the electric charge is -1/3. When the tastes are opposite, the electric charges are so too. Impulses don't have to be opposite. If one quark from the pair has a small impulse and the other quark has a large impulse in a different direction, the impulse sum is in the direction of the frame of reference in which the quarks do have precisely opposite impulse. All 4 quarks appear within their time borders. We assume the two pairs to emerge simultaneous within a length of time of 10 -23 sec. A, B, C and D are quarks, A B is one pair, C D is the other pair. We do not yet bother which is quark and which is antiquark. Colorless and tasteless spin 0 gluon pairs – if formed – will be absorbed by the vacuum, enlarging the vacuum with their volumes. There is vacuum everywhere, so this will be set into action immediately. The energy of the spin 0 gluon is converted into a tiny parcel of space. The ground state real quark – I mean the real quark in which shield all this is taking place – cannot afford to loose this energy. So, if this takes place, immediately thereafter the vacuum re-emits the spin 0 gluon pairs. The two quarks from single gluons see the core of the quark in which shield they are emerging, since they shield the core by amplifying its strength. (We say “core” but we mean “color shell”.) This “seeing” goes by means of gluons and we assume it are spin 1 gluons. Then every gluon swaps the spin. If a single quark-antiquark pair appears and a gluon from the core swaps the spin of one of them, then spin 1 gluons might be formed. This cost (at least) one cycle of time, which is enough for the constituting quarks to move 3 fm apart. At the Earth surface this is large enough to move far out of the reach of each others time borders. So here on Earth sole emerging quark pairs will not form single spin 1 gluons at a reasonable rate, I expect. = i -i = = j -j = 1 = , so AB as well as CD will form a white gluon. Multiplication order is not important. But how for the other combinations? We didn't need to worry. It are all combinations of i and j – with or without a minus sign in front – and the multiplication always will yield k, one with a minus sign in front and the other without. All possible arrangements and orders of the quarks of color i and j (with or without a minus sign in front) yield the gluon pair k -k. Two different pairs of color-anticolor that appear, always yield two times the third possible color-anticolor pair. and are quark-quark and antiquark-antiquark respectively. The pairs are made of matter only, or antimatter only, there is no time border between them and so no massless coinciding. So these possibilities don't form gluons. The particle and antiparticle in a pair that emerges in the shell cancel each other out. When do colors cancel each other? + = i + -i = 0, the colors and anticolors happen to add up to zero. But in quaternions we don't add colors, we multiply them. Then = i -i = 1 and indeed 1 is the neutral element with respect to multiplication. Similar for j and k. But black and white multiply to = 1 -1 = -1. Therefore we take = -1 -1 = 1 = and = -1 -1 = 1 = to be the colorless color pairs that appear in the shell, instead of . Mark the = pairs in the 3rd and 4th scheme are interesting: they form pairs of spin 1 particles of unit charge and the particles can have color but may be white or black too. IF u and d have different mass – and I think they have, at least because of the difference in electric charge – THEN the Higgs field absorption of the one do not cancel the Higgs field emission of the other precisely. The quarks cannot coincide massless, the particle will have some remnant mass. The quarks are within their time borders; they will not separate because the presence within the time border gives some mass reduction. Separation means the quarks have to be supplied by their complete mass; that thus might be huge. Admit, the particle has some resemblance to the W+ W- particle. But well, why W has mass 80385 MeV while the meson consisting of the same quarks then, has mass 140 MeV? So this is not that easy. Also possible is that both gluons leave the real quark where they are born, each of them going to a different quark – in baryons only, baryons have 3 quarks. The mother quark then doesn't change color, but the other two do. = 1/2 1/2 1/2 1/2 18/25 = 18/400 = 0.045 or about 5 percent. This percentage is making up the entire strong force. For spin 1 colored gluons, what we interpreted so far as one reaction in one cycle of time, up until now taken as 10 -23 s, must be about 1/0.045 = 22 reactions, 22 cycles of time – from which only one of them is yielding colored spin 1 gluons. One strong force cycle of time then must be rather 0.5 10 -24 s. In that time a light speed gluon covers only 0.15 fm. We have to introduce a new concept: the gluNon, a composite of N gluons that are kept together by color, but nevertheless do not, or not directly, merge to one color, N = 1, 2, 3, ... Colorless gluNons are called glueNballs. The glu1on is just the well-known gluon. In this TONE the vacuum is proposed as a sea of colorless pairs of gluons, glue2balls that are. Glu3ons and glue3balls would be massive because of Higgs mechanism 2. As soon as energy is available, the massless glu1on plus the energy concentrated in its parcel of space time, superposes with the massive glu3on state. It does so for only one instant. After that single moment the massless glu1on state and the massive glu3on state depart from each other. Consider gluons i, j and k in one glu3on. Since kji = +1 and ijk = -1 (both are colorless) it's a glue3ball. For a pair of gluons to remain massless, the signs in front of the gluons have to be opposite. One gluon has to be a particle (i, j, k or 1) while the other gluon is an antiparticle (-i, -j, -k or -1). At first glance the colors don't have to be equal, only the sign in front has to be opposite. Then you have e.g. the pair ( i -j ) that forms i -j = -k or -j i = k. These two multiplication orders superpose and cancel each other out. 1) If the gluon is made of a quark and an antiquark, massless coinciding, then the gluon is wiped from the list of elementary particles. 2) IF the W+ W- particle consists of two quarks within their time border, their masses partially reduced, THEN the W+ W- particle is wiped from the list of elementary particles. 3) One strong force cycle of time is about 0.5 * 10^-24 s (instead of 10^-23 s). 1) Why then the W+ W- particle (80385 MeV) is heavier than the pi meson (140 MeV)? 2) Where is the Z-particle? 3) Is the gluNon concept capable of yielding the generations? Since I was 13 or 14 years old (I was born at 26 June 1956) , Rudolf van Battum emphasized the existence of a frame of reference that falls along with gravity in such a way that in it no gravity is observed anymore. In my mind I embodied this frame by a system of free falling clocks and I realized the clocks, the frame, the vacuum, has to fall into the Earth from all sides. And more than once I wondered how such a coordinate system would work when vacuum would disappear in the Earth as if it was sucked away by a drain or something. But since I couldn't imagine how such a drain could become, I lost interest every time until the start of 2011. I owe much to Habib Rejaibi for his 9-lessons course “Web Design” in 2006, where I learned to make my own website in html. I thank Vincent van der Noort for his article “Why the 4-dimensional space is the most beautiful of all spaces: quaternions” (in Dutch, as far as I know not translated). It was this article that in 2012 made me aware of the existence of quaternions. Also I thank Gerald Tros for his excel-sheet about quaternions, especially the demonstration of his algorithm for quaternion multiplication independent from matrix multiplication (Dec 2013), and for bringing in my attention the Pauli and Gell-Mann matrices. I thank prof. P.J.G. Mulders from VU University, Amsterdam for his advice and patience with a not too well educated person like me (2014, 2016). Last but not least I thank mr. Bijleveld for being my only physics school teacher that brought physics in a lovingly and interesting way (1969-1970), Chris Sijtsma and Klaas van Aarsen for their discussions on physics and once being my friends (1985-1990), and Janet Ossebaard for putting the right questions at the right moment (2005). Without her questions my site would never have come to existence. Gerard 't Hooft, Gauge Theories of the Forces between Elementary Particles, Scientific American, June 1980, used for the part starting with “When an electron in an atom emits a photon, where the positron is coming from?” and the part “Four quarks in the shell”. Howard Georgi, A unified theory of elementary particles and forces, Scientific American, April 1980 for my early understanding of quarks, gluons and colors in QCD. https://en.wikipedia.org/wiki/quaternion for the matrices of the quaternions. If you have followed all the wipes carefully, you might have noticed that if they all come true, this leaves the quark as the only elementary particle existing. And that includes the vacuum structure, the structure of space and time itself. I used to work the first two hours of each day on physics at my website leandraphysics dot nl, formerly physicsleandra dot com. Usually I got some ideas and work them out this way in a couple of months. Then always a pause occurred, sometimes short, often longer. I remembered having worked a period that never has been that long before. Thereafter was the pause but it was shorter than usual. Then the ideas of chapter 4 came, Quaternion Gravitation. For about two months things developed well but I start longing for the next pause. Then I got headaches and could not concentrate anymore and I knew I had to stop. After a few weeks I started to assemble TONE, that you are reading now.